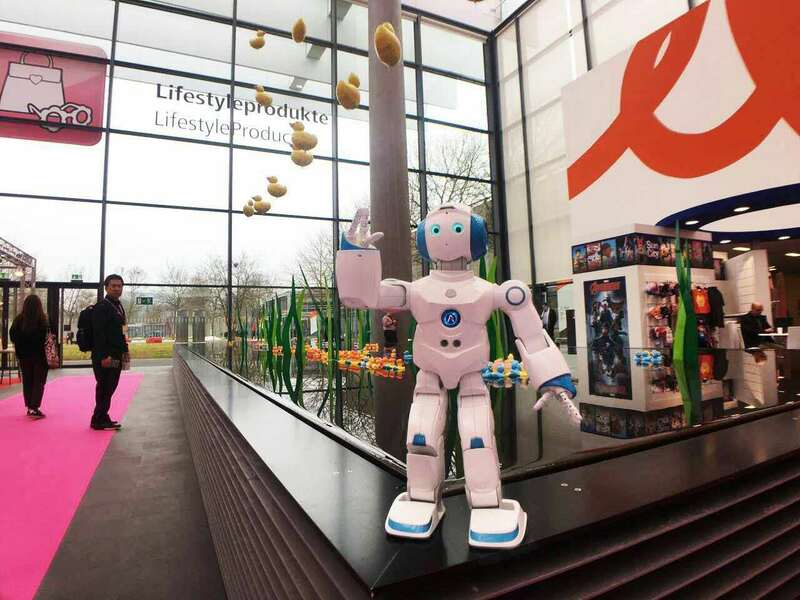 From February 1st to February 6th, Spielwarenmesse had its grand opening in Nuremberg. More than 2800 manufacturers from over 60 countries presented, which is unprecedented. Abilix, with its four series of products, made an impressive appearance. As one of the greatest and most impressive toy show, Spielwarenmesse has always been leader of toy development in the past 68 years. 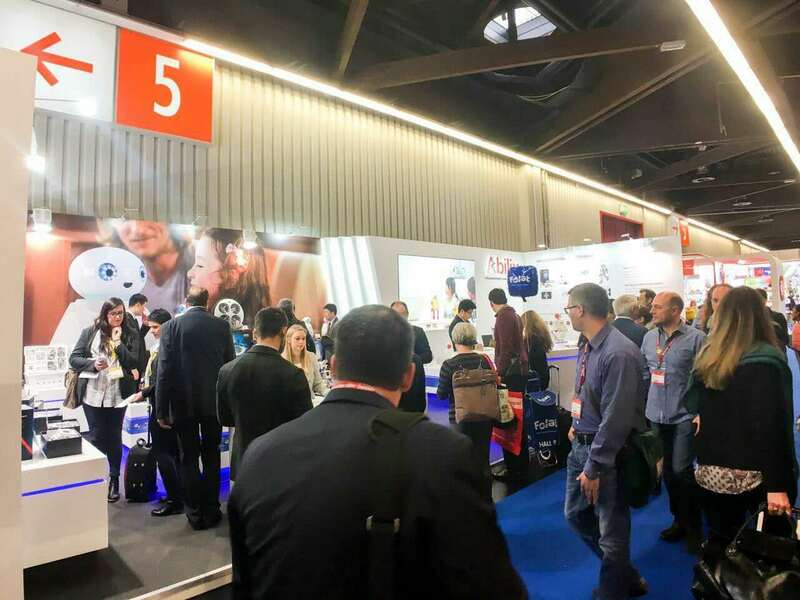 This year, the science and technology toys, which aim to teach through entertainment, attracted more attention than before. Various robots were available to close contact, which excited professional visitors. Among all showcases, Abilix was extremely popular. The dancing robot square array was attractive. Also, Abilix brought the interesting competition projects to the show, the participation is ensured. It is acknowledged that this time Abilix has shown its latest four series of products-brick series Krypton, mobile series Oculus, humanoid series Everest and flying series Iris. 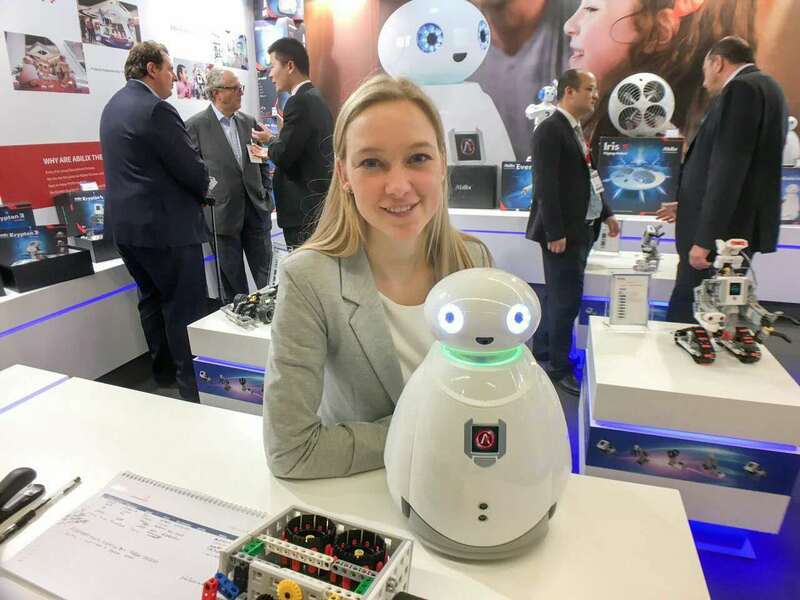 In the past, educational robots mainly focused on schools or tutorial center users, while the four series took household users into consideration. Its Apps, starting from kid of zero basis, going from easier to difficult, are applicable to users from three to university age, which suits the law of growth. These functions enable adolescents to train their abilities as well as to enhance their scientific and technological literacy while having fun. The most explosive project is the “South China Sea Island Filling” of brick series Krypton and “Mars Mining” of mobile series Oculus. Based on the characteristic of products, combing the interesting stories, competition projects are thus formed. Contestants are enabled to build up knowledge system while exploring the educational robots. The contest serves as examination. This is not restricted to exhibition. Abilix provides users with an authoritative assessment system. Adolescents of the right age, whether household product users or Abilix curriculum students, can all participate in World Educational Robot Contest (WER) setting Abilix as platform. This is the greatest robotic contest with the most advanced projects and the most profound educational values. An annual theme is released each year to encourage adolescents to make active exploration under the guidance of competition projects. Teaching through entertainment, that’s why the interesting Abilix were so welcome. This has provided a favorable reference for the present and future industrial development.